Recently we have been talking a lot about B2B Modernization, but what about MFT? Managed File Transfer should not be over looked in your modernization efforts. Companies that have no reliable and supported MFT infrastructure are open to many risks. What processes break when a key transfer fails? Could you positively impact customer service by decreasing the time to resolve exceptions on these critical transfers? How much time do you spend documenting compliance controls, related to your B2B/MFT infrastructure? Do you have a way to prioritize issues and activities so you can focus on the most impactful ones? Are you able to communicate your team’s value to the organization? 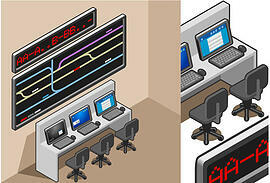 Visit IBM’s Control Center video series on YouTube! To learn more about the new features of IBM Control Center 6.0 and other tools to modernize your B2B or MFT infrastructure, contact me directly or visit www.remedi.com for more information. Which Internet Protocol Should I Use? System Visibility, Answering the "Where's My Data?" Managed File Transfer: What Does It Mean To You?